Dust is refusing to settle on a wrangle between the Malawi government and the Timber Millors cooperative Union (TMU)as the union is blasting government for not helping the industry as promised. President of the Union Paul Nthambazale told Malawi24 that despite several efforts by them to bang heads with government efforts always prove futile due to what it terms arrogance and settig on unfavorable market conditions. He was responding to media reports that saw government forsaking the Union’s efforts in chasing illegal timber millors in Chikangawa forest. “Its very unfortunate to learn that government is still treating us as fools. How can they be telling the media that they chased illegal timber millors themselves? Have they forsaken our efforts? That’s not fair,” fumed Nthambazale. Disputes over timber in Viphya forest. He went on to argue that government’s noted attitude towards the matter and towards the general business community leaves alot to be desired claiming that the later remain badly treated and ignored by government. “Its attitude towards Malawian business community is very bad. How I wish they would improve,” he added. 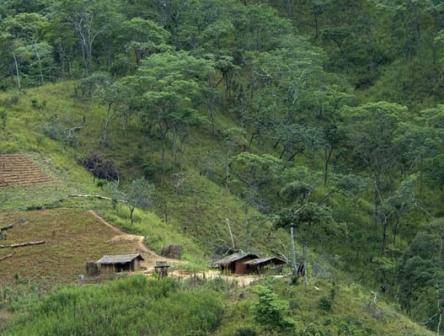 Malawi24 understands that some days ago, government through forestry department joined hands with the TUM in chasing illegal millors in Viphya forest. During the operation the union contributed 1.5 million kwacha which was used to pay officers as well as for the purchase of fuel. Government only provided a car and six officers, according to reports. However when talking to the media, forestry officials ignored the union’s efforts by claiming that the operation was fully sponsored by government. This has made the union to question government bad attitude towards local business community. The seven days operation led to the saw confiscation of goods worthy 60 million kwacha from illegal timber millors in Viphya forest. The wrangle comes barely few months after the Union dragged the government to court over breach of an initial contract agreement. Efforts to talk to government officials at the forest proved futile as they were not interested to comment on the matter to the media. Koma ndiye chikangawa forest ayigwira ntchito.